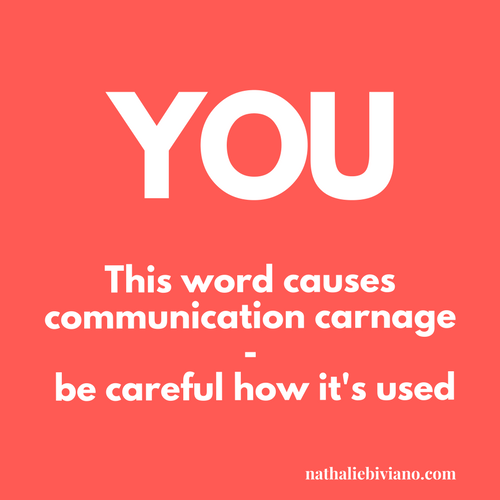 Starting off a confrontation with “YOU” sets you up for immediate failure. We cannot ever resolve an issue if we Blame, Shame or Criticise. Using the word “YOU” is inherently making accusations - and human nature will dictate an immediate DEFENCE. If we blame, shame and criticise, it’s game over. Starting with “YOU” will quickly escalate into a scream off - with each party trying to get their point across. If we blame, shame and criticise, we will continue the cycle of frustration. 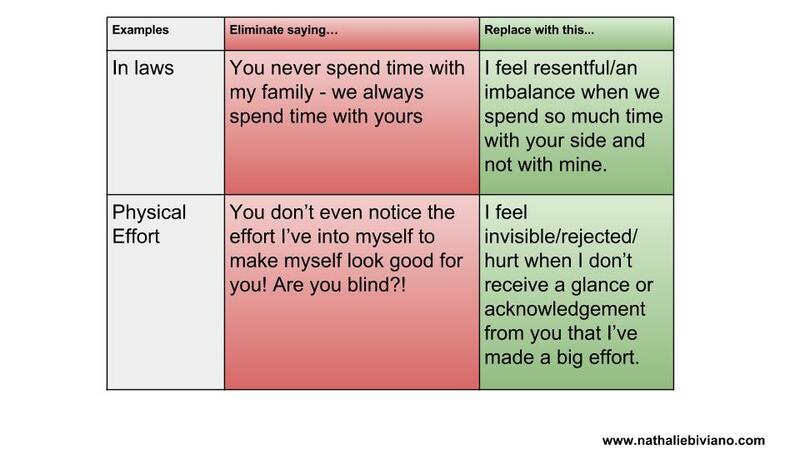 Replace the word “YOU” with “I FEEL”. “I FEEL…” removes the finger point (the blame, the shame, the criticism). It gives us permission to state how we feel. It creates a safe place to do so because your spouse does not feel under attack. When he’s not threatened - he’s more likely embrace and allow you to express how you feel. No-one can judge, dismiss or invalidate (though they may) - but the point is - it is how you feel and you have every piece of permission to feel this way. You are safe in this place. We cannot accept personal responsibility. Will create defensiveness - you will not get anywhere. They are a softer start - and they can still communicate the same thing. Newer Post"Soo.... are you a therapist or a counsellor or something?" asked my aunt.